I am a HUGE peanut butter fan – my daily snack in work is sliced up apples covered in the stuff. 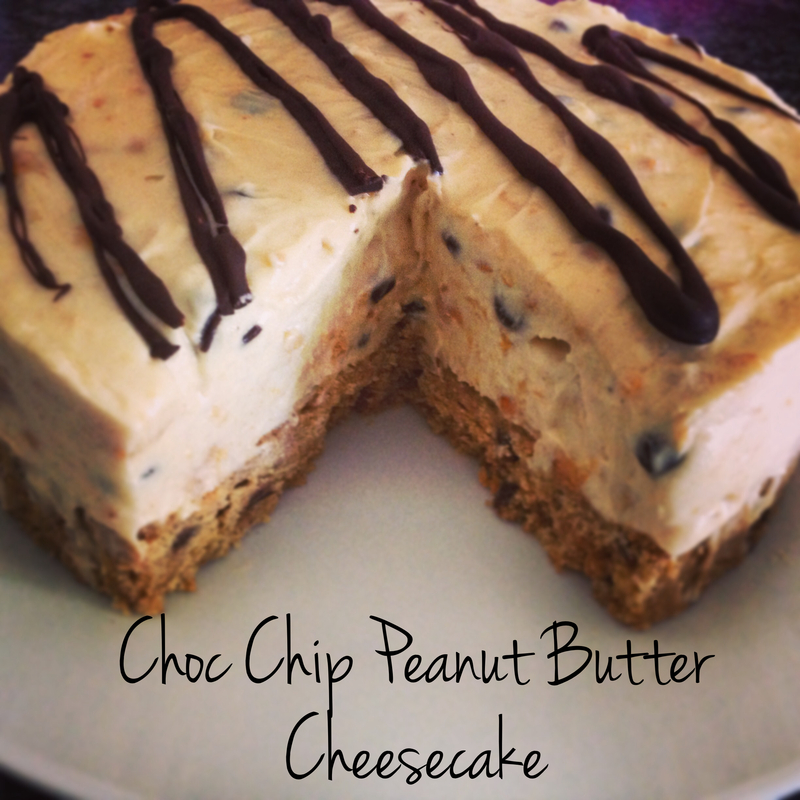 I’d been wanting to make a peanut butter cheesecake for a while so a couple of weeks ago I got working on it and Oh. My. God was it good! The chocolate chips were just an afterthought as I had a packet in the press but they are definitely required if you want full on peanut butter and chocolate goodness, it’s devine!! You will need a springform tin or similar. I use this cream cheese from Aldi, less than half the price and just as good as Philadelphia. 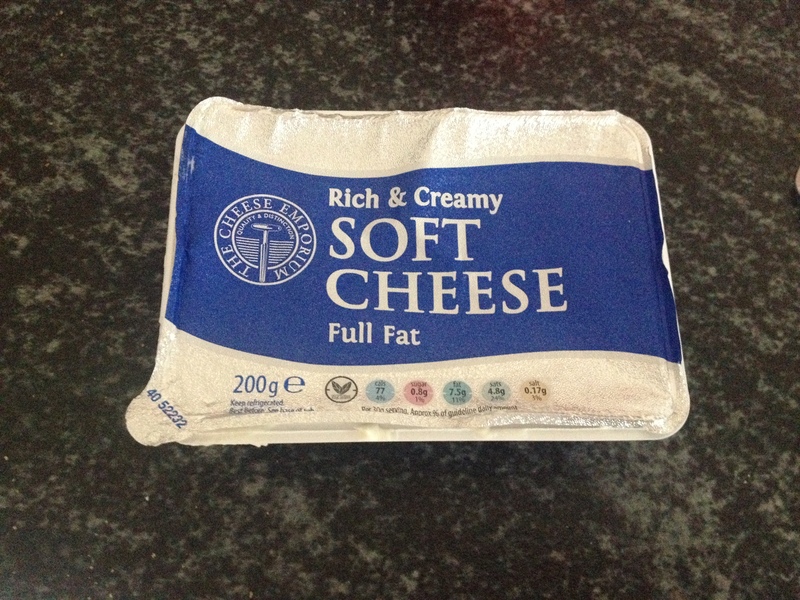 I don’t recommend the low fat version really – too runny! 1. First step is to make the base. If you have a food processor blitz up the digestives in that – if not then do what I do and bash them with a rolling pin in a closed sandwich bag! 2. Once they are done, melt the butter and pour into the biscuits. 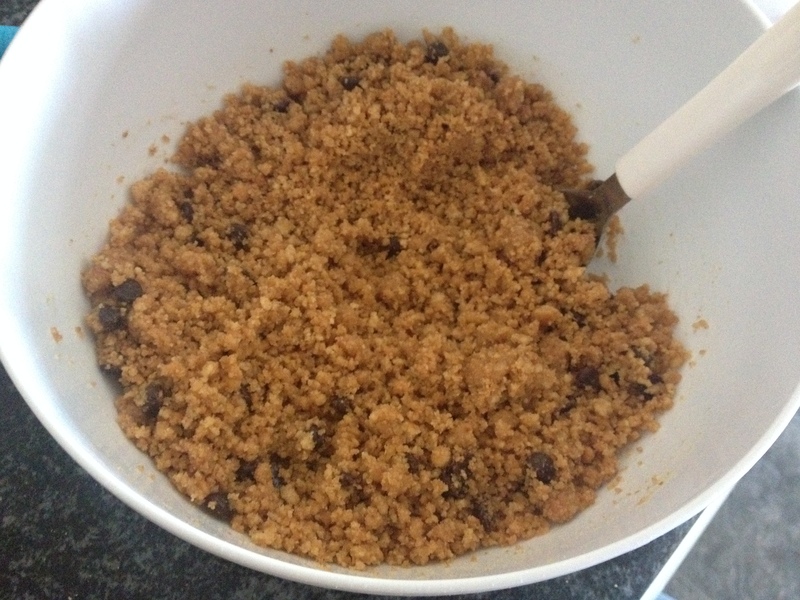 Mix well and then add half the pack (50g) of the chocolate chips and mix through. 3. Pour into the tin. Flatten down with the back of a spoon. 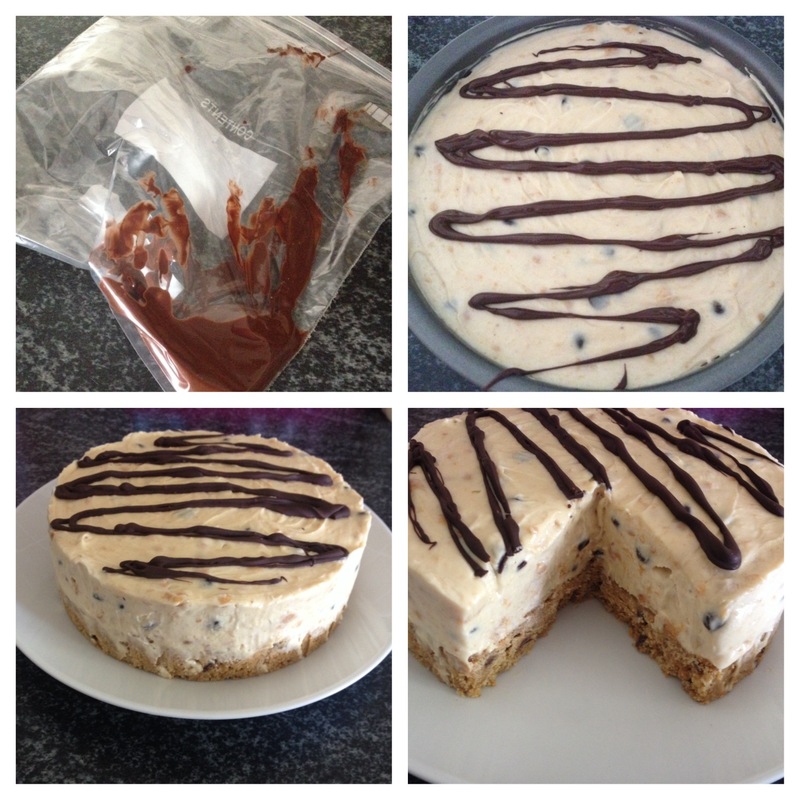 Throw this into the fridge to chill and set while you make the cheesecake mix. 4. In your mixing bowl, beat your cream until it starts to stiffen – life is much easier if you use an electric whisk but by all means use a manual one! Then add in your 2 packs of cream cheese and beat. Sieve in the icing sugar and mix until well combined. 5. 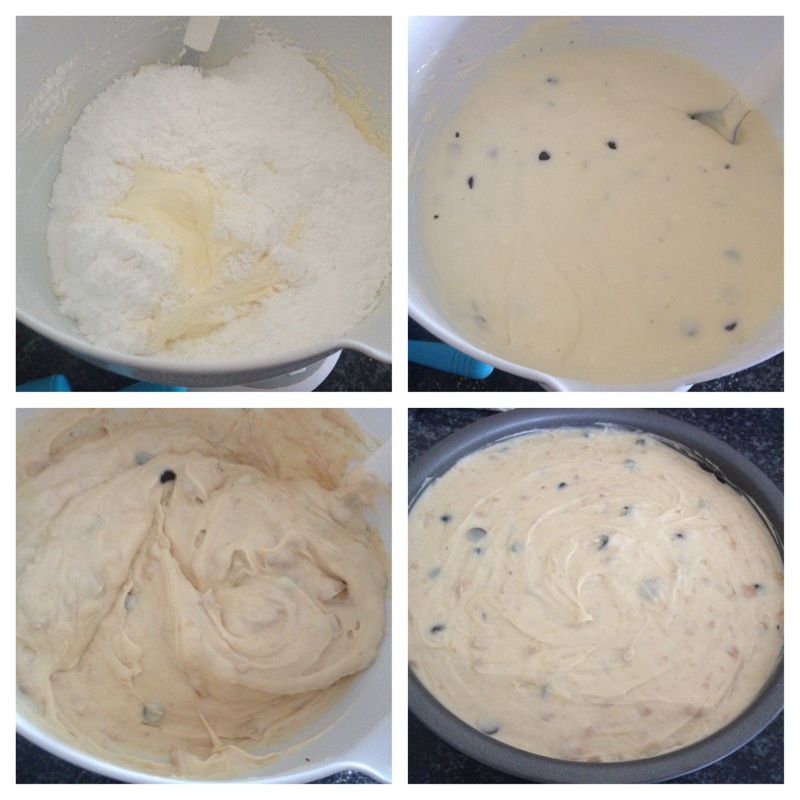 Add the second half of your pack of chocolate chips and mix through. Now time to add the peanut butter. It’s obviously a thick consistency so add it a third of the jar at a time and mix with a spoon after each addition, don’t whisk it. I love to use the crunchy one but if you prefer smooth then by all means use that. It doesn’t need to be totally combined but you don’t really want any big lumps of peanut butter so mix it pretty well. 6. Take your tin from the fridge and pour the mix evenly over the top. Fridge this for about 90 minutes. I like to drizzle some melted dark choc over the top of mine. No need for piping bags or anything, just melt some choc, pour it into the corner of a sandwich bag and chop the corner off then drizzle. Back into the fridge for a bit to set the chocolate then you are done. 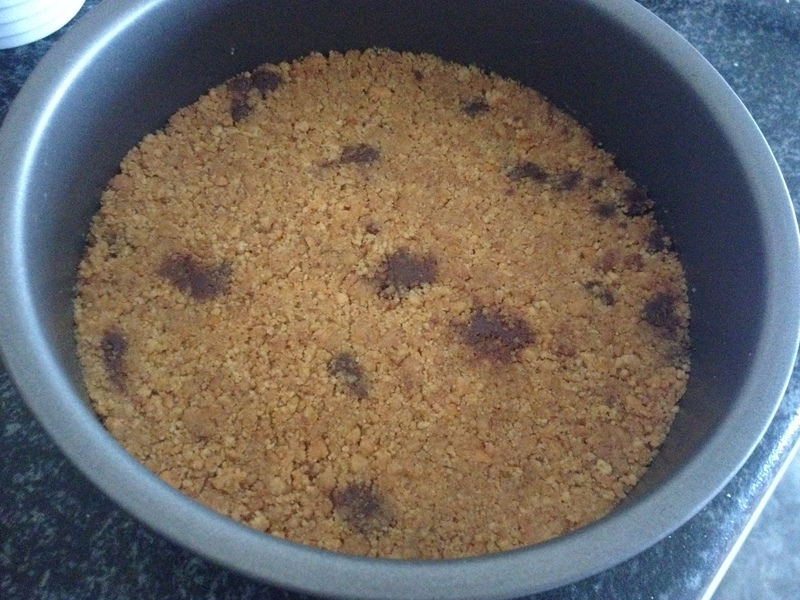 Remove from the tin and serve – Yum! !